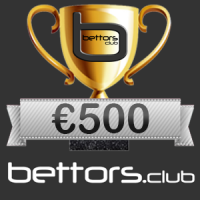 Real Money Prizes offered by Bettors.Club! In this month we will give away to the Best Tipsters prizes up to €500. The participation is FREE and prizes will be rewarded in the tipster’s Skrill account. This is the main tipster competition that bettors.club is hosting, but tipsters can also participate in other active tipster competitions that may be hosted on the site. The rules are the same, the only differences are the prizes and the way we choose the winners. -The winners will be determined by the highest monthly Profit. -The tipster must have a Positive Profit to win any Money Prize. -The tipster must have a min. 50% Hit Rate to win any Money Prize. 3.1.Minimum 15 picks/month with Description / Preview. IMPORTANT: Tipsters that don’t have a Skrill account, must open a new account through this link in order to receive the prize. When and where will we have to fill in the info for receiving prizes for January 2019? Please read the Dashboard after you log into your account. I was tired … I dangled Dordrecht with Eindhoven, it’s happening! The title and preview was wrong so best we can do is to delete the prediction to not affect your hit rate. Why did I get +2.70 at Fenebahce? It’s not fair, I’ve had a bigger share, or … I accidentally got the 1.30 share! I played over 4! You can also find the answer in the prediction: Odds were much lower than 5.4 at the time you made your pick! Read rule 3.13! Admine, I took at Unibet, Total Asiatics, over 4 goals, and at the time I wrote the prognosis and analysis…and that was the cotes. From now on, to have something in my hand, I’m going to print out when I play the game. Good Luck! Other tipsters can check oddsportal and will blame us for not checking odds. When adding a prediction to be safe add the odds from oddsportal, flashscore or our livescore. Is creating bet365 accounts must to win prizes at Easy skrill and Active tipster competition? The tipster portaltip have been trying to avoid the Over/under market at his other account ivantsochev until it got to the month end then he realise he has to revert to his favorite market tip of Under/Over goals because that is the only market that works well for him. “The goal market” to be able to occupied but 1st and 2nd place. Please look it up. He consistently used the word “because” while writing his preview. 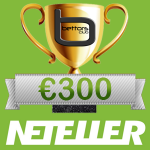 When receiving prizes, they need to have different accounts for Skrill, Neteller, bet365 and betboro. Those accounts are verified, especially at bet365. So as far as we noticed they are two different tipsters. Your winning rate is guaranteed… I want to cooperate with you!